A few weeks ago, my co-workers and I got to do a cooking class at Souper Jenny with one of our media reps. It was a fun night of drinking wine, asking the chef questions, and stuffing ourselves full of five different glorious soups (plus some awesome chicken salad). Souper Jenny is one of those Atlanta institutions that anyone who has ever lived or worked near Buckhead knows about, but basically they’re all about fresh, healthy soups, salads, and sandwiches (with many vegetarian, vegan, and gluten-free choices too). I had only been once before, so all the recipes were new to me. When it came time to try one on my own, I knew what I’d try first. As I’ve discussed here many a time, soup is not something I usually consider a meal in its own right. 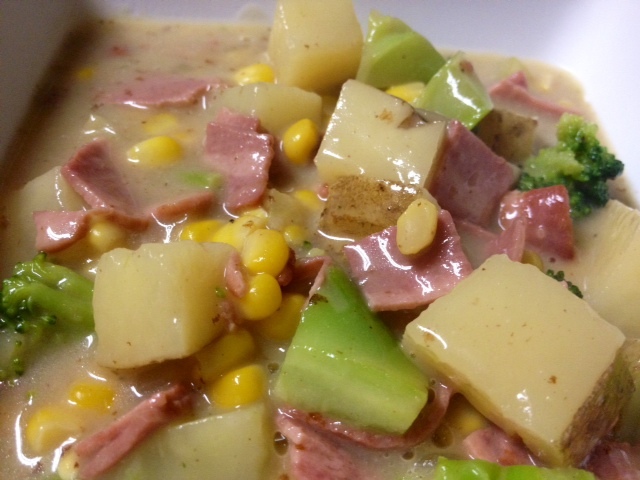 This soup is definitely an exception, since all the veggies plus the bacon make it quite hearty. I paired it with maple-cranberry cornbread (so moist!) for a lovely cold Sunday night dinner. Plus, BACON. Who doesn’t love bacon?? Two things to start out with. I used a dutch oven, which was great size-wise (and pretty!) but had some sticking issues with the bacon, so I might try it in a non-stick soup pot next time. 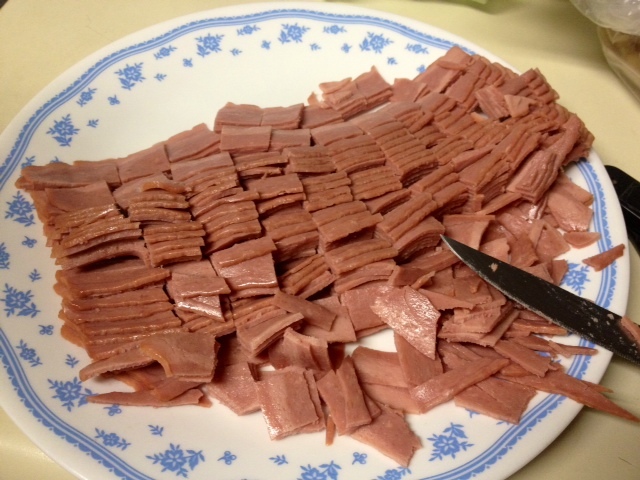 Secondly, if you’re using turkey bacon you can cook up all the bacon normally and then tear or cut them up, but I thought I’d try something different and cut them up first, then cook them. 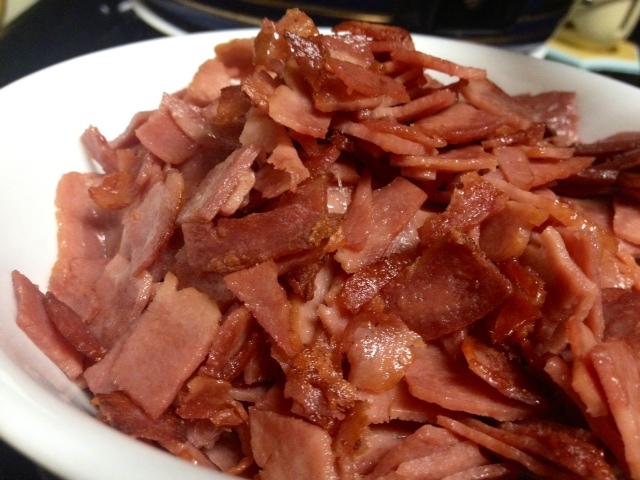 Cuts down on cooking time and you don’t have to tear up a million pieces of bacon. However, mine didn’t get crispy. If you’re using pig bacon, I think cutting them up works well. In a large pot (like a dutch oven or big soup pot), cook the bacon over medium-low, stirring occasionally, until crisp (8-10 minutes). Using a slotted spoon, transfer to a paper towel-lined plate. Increase the heat to medium. Dice the onion and cook, stirring, until it begins to soften (6-8 minutes). See what I mean about the bacon sticking…? 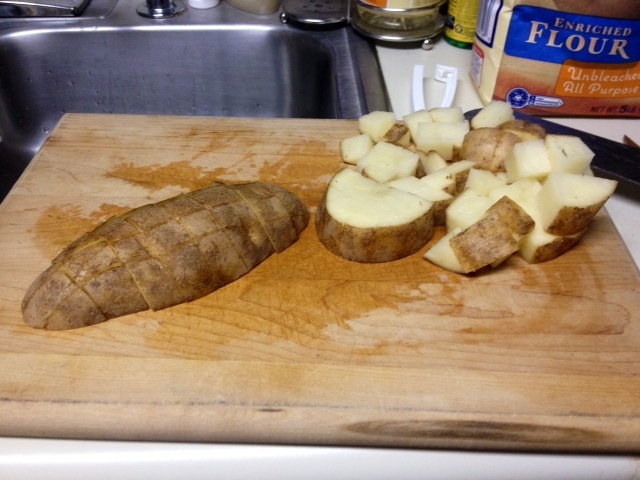 Dice up your potato. I leave the skins on, like the taste and texture, plus it’s healthier. 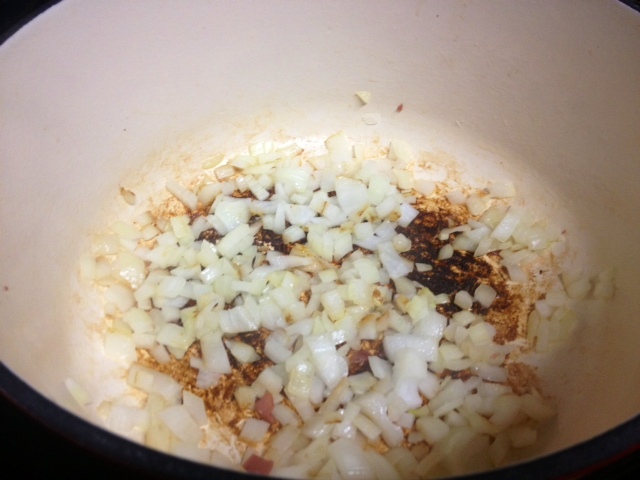 Add the flour to the onions and cook for 30 seconds, stirring constantly, then add the broth and potato. Bring to a boil then immediately reduce to a simmer (it’s not good to boil your soup for long). Cook (stirring occasionally) until the potato is tender, takes about 10 minutes. 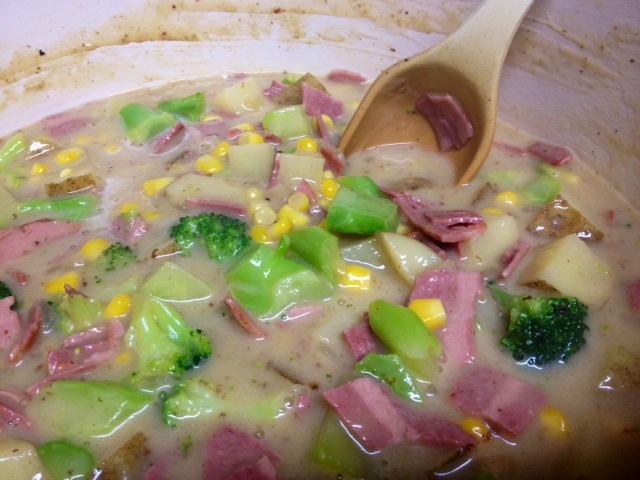 Add the broccoli, corn, thyme, and milk, and cook until the broccoli is crisp-tender (8-10 minutes). 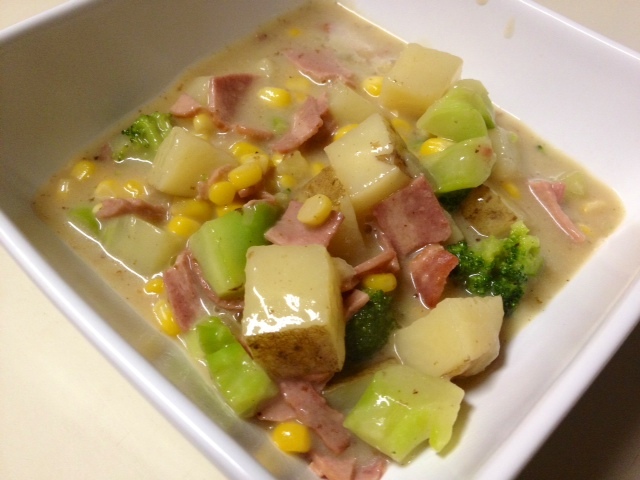 I used frozen broccoli and corn—frozen veggies are a great way to use vegetables in cooking without having to constantly keep fresh produce on-hand. Plus, frozen veggies (which are flash frozen usually within a day of harvesting) retain more nutrients than even most grocery store produce (which was probably harvested a month ago and been sitting in storage ever since). The exception to this, obviously, is locally-sourced fruits and veggies from a farmer’s market or CSA. 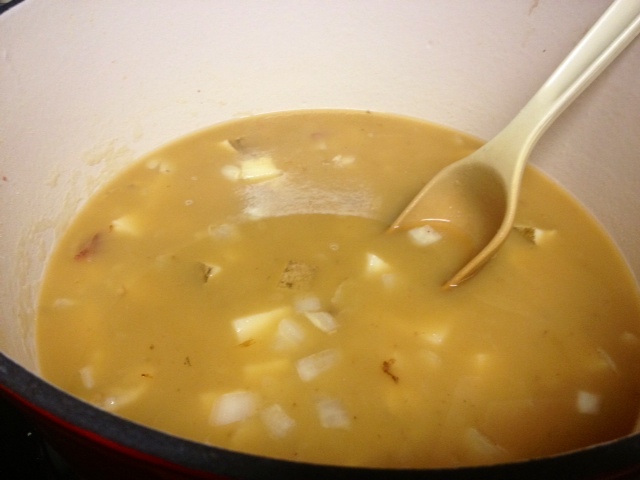 Continue cooking and stirring for a few minutes as the soup thickens. Season with salt and pepper, and serve topped with bacon. Or, if you’re being completely decadent like me, just add the bacon to the soup and stir it all in. 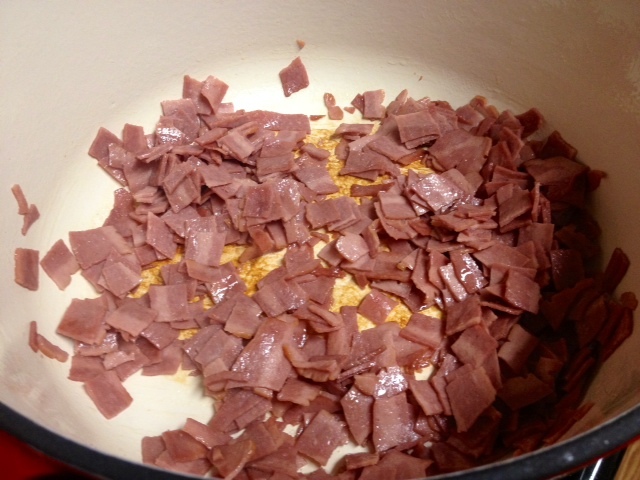 In a large pot (like a dutch oven), cook the bacon over medium-low, stirring occasionally, until crisp (8-10 minutes). Using a slotted spoon, transfer to a paper towel-lined plate. Increase the heat to medium. 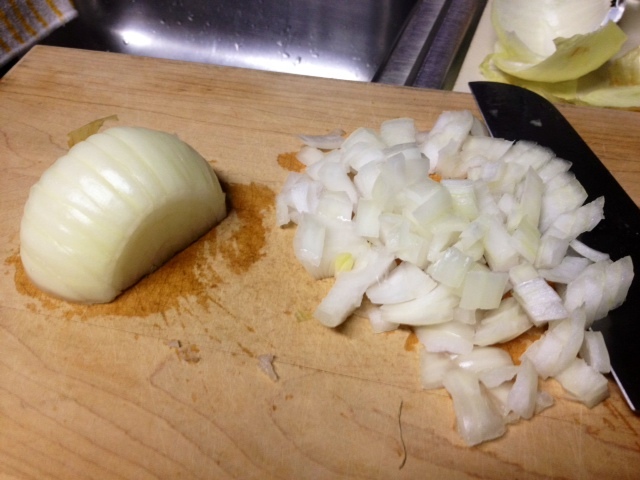 Cook the onion, stirring, until it begins to soften (6-8 minutes). Add flour and cook for 30 seconds, stirring constantly. Add the broth and potato, then bring to a boil, and immediately reduce to a simmer (it’s not good to boil your soup for long). Cook until potato is tender, about 10 minutes. 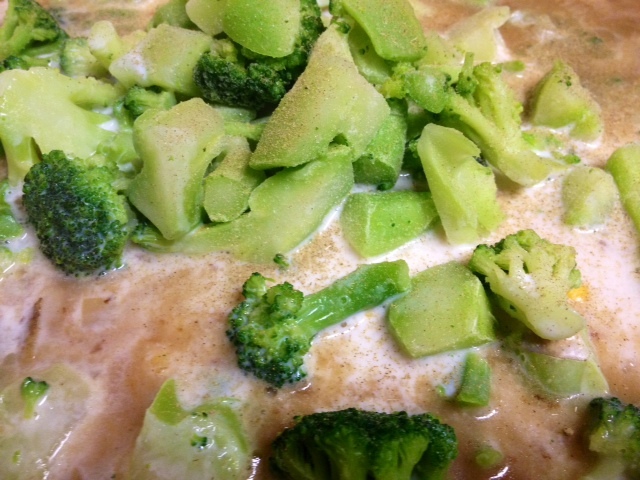 Add the broccoli, corn, thyme, and milk, and cook until the broccoli is crisp-tender (8-10 minutes). Season with salt and pepper, and serve topped with bacon. Or, if you’re being decadent, add the bacon to the soup and stir it all in.